Here is this week’s list of comic strips and other links from my favourite corners of the web. Found a Baby Bird? I can’t remember if I’ve shared this infographic with you on a previous Suggestion Saturday post or not. 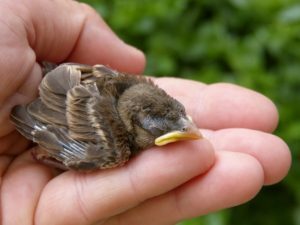 It is a good reminder of what to do if you find a baby bird at this time of year, though. If We Survive the Night. The twist at the end of this story was brilliant. (Fair warning: it’s a horror story, but don’t let that stop you if you’re not typically a fan of this genre. It’s fantastic and not at all what you might expect). Discovering You’re Bi: What People Think vs. What It’s Really Like. I couldn’t stop gigging. This hit the nail on the head. A Cure for Melancholy: Victorian Medical Advice on Treating Depression via MimiMatthewsEsq. This was fascinating. The Ugly Industry: How the Beauty Industry Makes You Feel Worthless via WMASLAM63323693. What a great post. When I avoid advertisements, I’m surprised by how much less I think about being beautiful. Magic Dog Vomits Any Liquid Required for Him via TarkabarkaHolgy. I’m sharing this with you because it is by far the strangest folktale I’ve heard of in my entire life…and I’ve read a lot of folktales! It’s hard to imagine how and why someone came up with it. Did they have a pet dog who vomited a lot? Was it a retelling of a nightmare? We’ll never know, but it’s still fun to think about. Rainy Day Reading. Toronto has been getting a ton of rain this past week. Yes, this comic strip is an accurate picture of how I’ve been passing the time.